Legendary fencing instructor Maitre Bac H. Tau described what he called the "six essentials that are in a fencer's mind:" "The first is called spirit; The second, rhythm; The third, thought; The fourth, technique; The fifth, tactic, and the last is strategy." As a fencer you can fight with spirit, experience rhythm, think your way around problems, and develop technique, tactic, and strategy by training with top-flight fencing masters. But there is more. 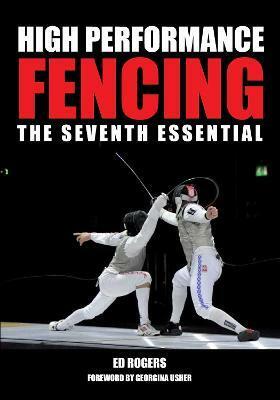 Modern fencing is a highly competitive speed and endurance sport, and the "seventh essential" in a high-performance fencer's mind is how to prepare themselves physically and mentally to fence. Here, Ed Rogers covers every aspect of the preparation required by a fencer competing at the highest level. The book provides sound practical advice and is based on tried-and-tested training principles that have repeatedly proved successful.